Fargo's NEW DTC1250e boasts a whole lot of power and innovation! 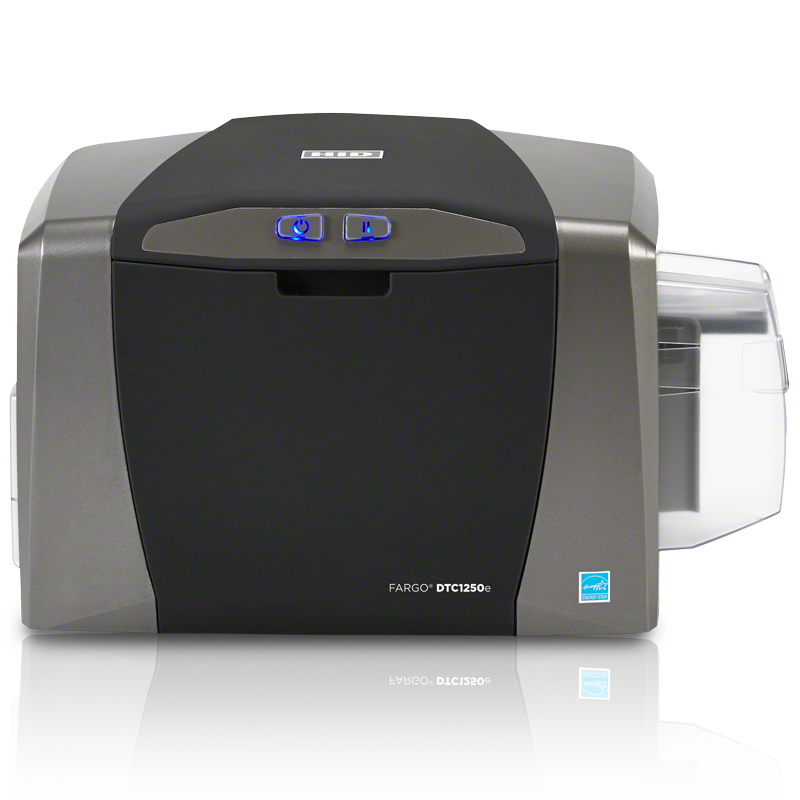 The Fargo DTC1250e is the fastest direct to card printer in it's class, with printing a full colour card in 16 seconds... Now that's fast! The speed of the DTC1250e makes it the ideal club membership card printing. But the fun doesn't stop there, with the DTC1250e's small foot print and ribbon cartridge load from the front makes this ID card printer ideal for small businesses, schools, and local governments that have little space, resources and time. The DTC1250e has a host of extras such as; dual-sided printing, magnetic stripe encoding, USB, ethernet and depending on the readers you use, there is 125 kHz and 13.56 MHz contactless encoding or contact chip encoding. NEW to the Fargo DTC1250e is WiFi connectivity! Printing a full colour card in 16 seconds is about as good as it gets. Don't waste your club members, customers or employees time anymore. The DTC1250e is not only reliable, easy to use and affordable it's also great quality direct to card printing. The DTC1250e's is compact in size and was designed for the smallest of desks or tables. With cartridge supplies and easy card reloading, the DTC1250e was made for club membership printing or organisations that need a secure ID card solution without having to commit a lot of room for equipment. The DTC1250e is one of the fastest if not the fastest entry level card printers on the market at the moment, with an impressive 16 seconds per card. - Fastest printer on the market. This card printer package comes as USB. ***Note: This printer can not be upgraded to dual-sided printing after purchase.